Before starting at a KKDC nursery, the parent/carer and child are invited along to the setting for two taster visits. Both parent and child will be welcomed into the setting by the day care manager who will initially have a chat with you in order to understand your child's requirements. Afterwards, you will meet with your child's 'Key Person' who will explain their role to you in greater detail and how best to meet both your needs and your child's needs. The key person and yourself will be able to discuss your child's routines, allergies, dietary requirements, likes and dislikes in order for us to plan accordingly before they start. Once you begin life at KKDC, the key person will work closely with your child and carry out observations regarding their development and progress. This enables the key person to plan carefully for your child's individual needs which will be discussed with you so that transparency exists between child, parent and staff. At the end of each day when you collect your child, your key worker will fill you in on the eventful day your child has had, what activities they carried out, what they most enjoyed, what they had for lunch, what stories they heard, what songs they sang and what paintings they did. The end of the day is a great way for you to catch up on events and discuss any child related queries you may have. 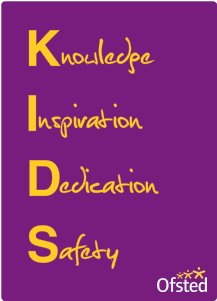 Every year, KKDC holds a parents evening which is something parents/carers will become used to once their child finishes day care and starts primary school. You will spend time with your child's key worker who will guide you through your child's progress at KKDC. We appreciate that when collecting your child in the evening, you will have other commitments and attending parents evening is a great way to obtain an in-depth account of your childs' development. KKDC is a very welcoming day care and parents and children should feel that they can approach the child's key person or any other member of staff about any issues or questions they may have concerning their child.